A catastrophe has befallen the world this week as Notre Dame burns in Paris. It’s not the first time that’s happened, but the internet can help until it gets rebuilt. When disaster has ravaged major museums in the past, you have to have hoped that the artworks and antiquities have been moved. It can’t always be done, mind you, so technology can assist. Technology may not provide the exact experience for viewing a major artwork, but it can deliver an aspect of the experience, such as the viewing. And if you can somehow deliver it in virtual reality, it can get close. We’re not there yet for everything, but the digitisation of some of the world’s biggest museums is gradually happening, and something Google has been actively involved in via its “Arts & Culture” project. But it’s not finished, and hasn’t archived everything, and when tragedy strikes, what then? At just before seven on the evening of April 15, the Paris icon of Notre Dame cathedral was ablaze, as an accidental fire hit one of the world’s most known cathedrals. News organisations have reported some of the artworks have been saved, but what of the building itself, something that is clearly a form of art and held in the highest of regard? It’s worth pointing out that this isn’t the first time Notre Dame has seen a fire, and so restorations will likely begin the moment the fire goes out. It will be some time before France’s most well-known cathedral will be working again, and so we have to hope the internet has archived it by now. Where can you see Notre-Dame at its peak in digital form? There have been attempts to digitise Notre-Dame over time, and while Google hasn’t created a digital rendition of the cathedral in the way it has with the Palace of Versailles, you still have options. 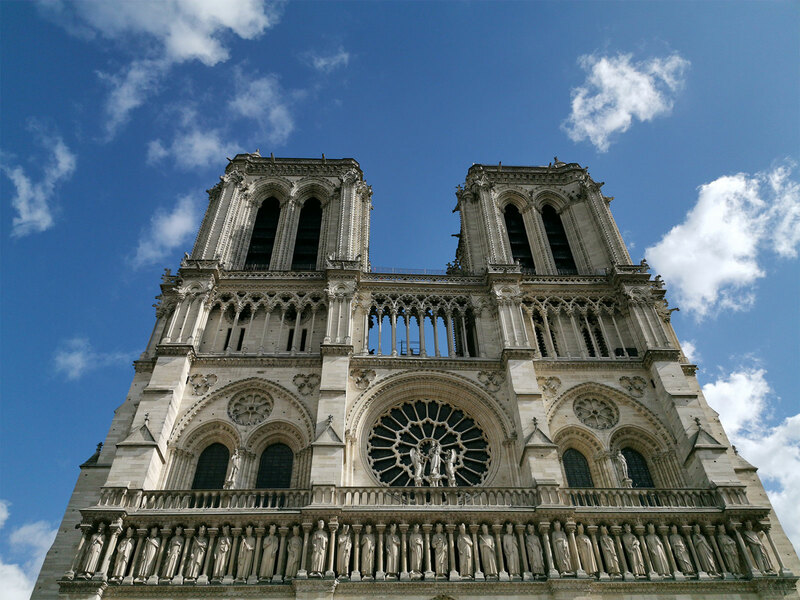 Google Street View not only retains images of Notre-Dame from the outside, but some from the inside as well, allowing you to get done semblance of the virtual experience even if it’s not quite as remarkable as walking in yourself. CNN captured Notre Dame in 2015 for its “CNNVR” project, though it does require a VR-capable web browser to view it, while an eight-minute VR documentary was released earlier in the year. Microsoft once offered a unique take on Notre-Dame with its Seadragon-powered Photosynth technology that assembled a 3D model of Notre-Dame through pictures found online, but that has been subsequently deactivated and discontinued. However Photosynth wasn’t the only system to assemble a 3D model of the cathedral. Back in 2015, art historian Dr. Andrew Tallon assembled a digital model using lasers to understand the structure of the building. His site “Mapping Gothic France” features detailed information about several cathedrals including that of Notre Dame in Paris, and could end up informing the restoration of the cathedral. We’re not sure whether that means a digital recreation could come as a result of Dr. Tallon’s work, but given that it probably now houses the most realistic, it’s a distinct possibility. Meanwhile, expect to find thousands of images of Notre Dame online, as everyone who has ever been and captured is likely to share their photos. Simply put, Notre Dame isn’t going away, and while it might take some time to return, it will be back, and you can still experience elements of that until it does.